Green Coffee Bean Complex is a dietary supplement that claims to promote the loss of body fat and weight while supporting healthy glucose levels. The manufacturer, Ray & Terry Longevity Products, claims that this formula is made of a potent extract that has a positive effect on fat and glucose metabolism. According to its producer, the roasting and brewing of coffee beans damages essential phytochemical contents which are more potent in supplement form. Ray & Terry specialize in a wide range of products that promote healthy lifestyles, weight management, and overall health. Other ingredients include magnesium stearate, rice flour, cellulose, and stearic acid. Green Coffee Bean Complex comes with easy-to-use instructions. You should take 1-2 capsules every day or as directed by your healthcare provider. Because this formula contains caffeine, the manufacturer doesn’t recommend its use in the evenings. You are not supposed to exceed the recommended daily dosage. We could not find out if this formula should be taken before, during, or after meals. The manufacturer also says that this formula should be combined with a healthy diet and exercise program for improved results. The manufacturer clearly states that this formula is not intended for use by children below 18 years old, pregnant or breastfeeding mothers and people with medical conditions. You should also contact your physician before using this supplement if you have a concern about using this product. When taken in the evening, this product may induce sleeplessness due to its high caffeine content. 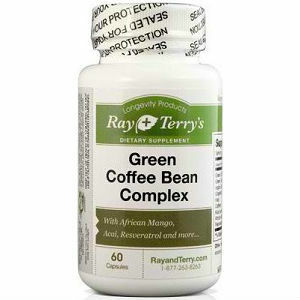 One bottle of Green Coffee Bean Complex containing 60 capsules retails at $25.95 on the manufacturer’s official website. We could not find out if there are any special offers or discounts for customers who order in bulk. We also didn’t find any coupons or promotion codes. Our search on the manufacturer’s website could not yield anything like a money-back guarantee which may give potential buyers a clue about the efficacy of this product. However, there are several positive reviews about this company’s products, although we couldn’t spot any for Green Coffee Bean Complex. This is most likely because it is not a widely used product. Green Coffee Bean Complex seems to be a relatively helpful weight loss supplement that comes with a few admirable features. The manufacturer has clearly stated all the ingredients used in its formulation. Additionally, we have not come across any adverse or severe side effects associated with its use. However, its high caffeine concentration means it is not suitable for use near bedtime. In addition, it doesn’t come with a money back guarantee for unsatisfied users. The absence of user reviews for this product is an indication that it may not be as effective as it claims. We thus recommend different products that are more effective and safer for weight loss. Edward Tobias	reviewed 2.5	on December 12th	 and gave it a rating of 2.5.